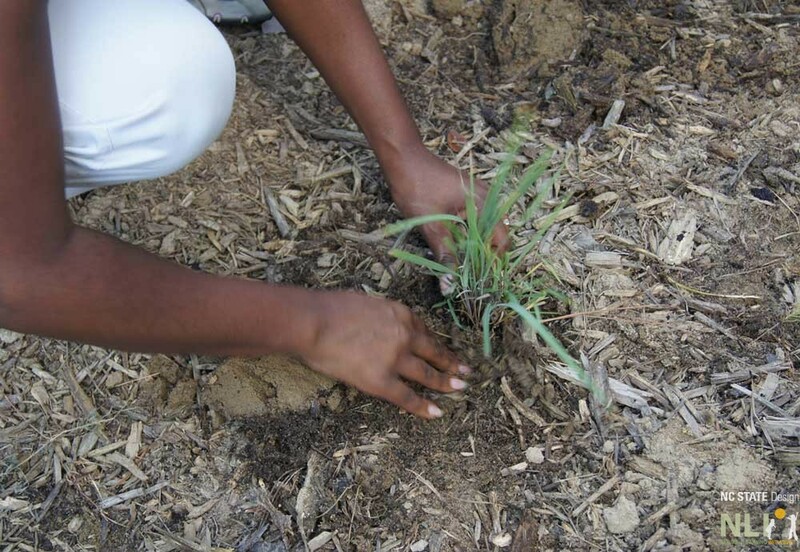 How do I select, arrange, purchase, and manage plants for my outdoor learning environment? For a comprehensive guide to selecting, installing, and managing plants in landscapes designed for children and families, visit the plants section of our website. 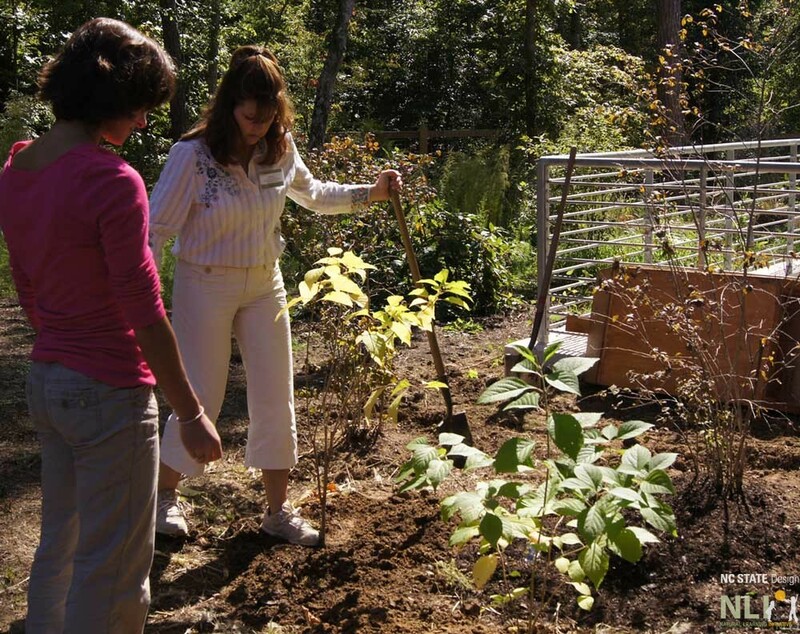 Landscape Plants – A guide to understanding the function of plants in the OLE. Landscape Plant List – Downloadable plant list for North Carolina. Plant Selection – Includes a guide to developing a planting plan and purchase list. Additional information on plants in landscapes for children and families will be available soon. An ornamental grass plug is planted in a rain garden at the North Carolina Botanical Garden. Chris Rumbley of Naked Fruits demonstrates proper planting and mulching technique at the 9th Annual NLI Design Institute. 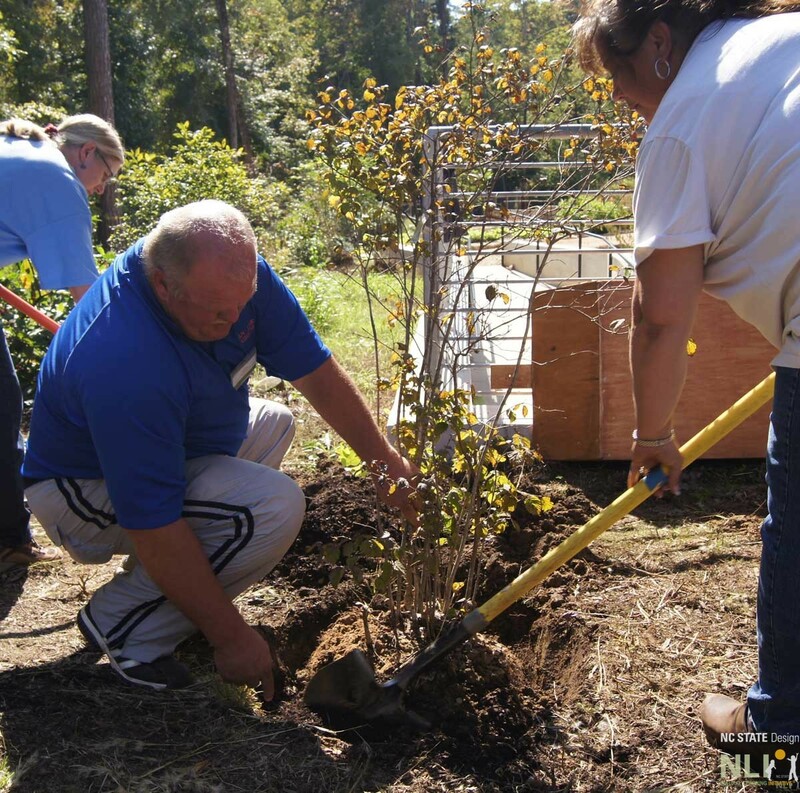 Workshop participants plant a small tree at the 9th Annual NLI Design Institute. 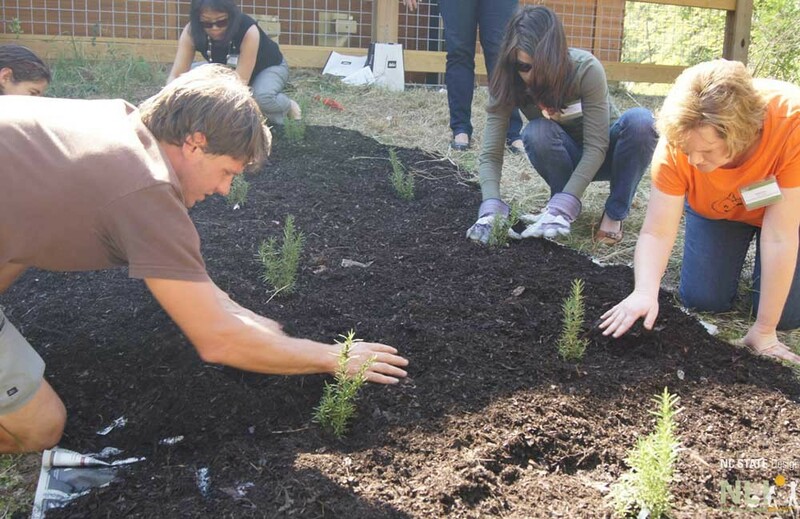 Workshop participants plant a shrub at the 9th Annual NLI Design Institute.